Charlene Whitaker Lane, 80, born October 28, 1937 at her home, died peacefully on May 30, 2018. Charlene was the daughter of Johnny Howell and Bertha Meadows. 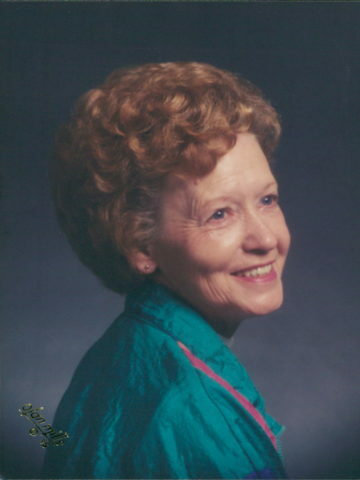 She leaves to cherish her memory, daughters; Brenda (Gene) Chamberlain, Cindy Pratt; sons, Mark (Lynn) Lane, David Lane; grandchildren, Daniel Pratt, Amanda Ericson, Heather Bouthot, Melia Burrows, Weston Chamberlain, Kayla Wilks, Kolby Lane, Jennifer Lane, Jessica Lane, Chynna McKee, and Tyler Lane; great grandchildren, Ava Chamberlain, Karter Bouthot, Svea Burrows, Ella McKee, Raz McKee, Emily Erickson, and Emma Burrows; mother in law, Elizabeth Lane. She is also survived in death by numerous extended family and friends. She is preceded in death by her parents, brothers, Dalton Howell and Hugh Howell; husbands, Herbert Whitaker and Ray Lane; sons, Michael Whitaker and Darrell Lane. A life celebration will be held Saturday, June 2 at 3pm in the chapel at Cole and Garrett in White House. Family will receive friends from 10-3pm prior to the service on Saturday. Burial will be at Hillcrest Cemetery in White House. This lady was one of the sweetest, most precious souls I’ve ever known. She was a beautiful ray of sunshine and always had a smile on her face. She lit up any room she walked into! I’m so lucky to have had her as a grandmother. You will truly be missed. My thoughts and prayers are with you and our family during this time. I love you always, Charlene! One of the sweetest, finest, Godliest ladies I knew in my life. I loved her dearly. Such a precious lady! All the family will be in my thoughts and prayers. God Bless you as you travel this journey! You are in God’s care! To my Grandmother, the woman who displayed incredible forgiveness and love as an example for my life. To the woman who’s sense of humor is as great apart of her memory and legacy as her kindness and sacrifice. I find myself laughing and crying as I remember life with her. As I hold my sweet Emma, I’m so grateful that she was able to see our newest addition over FaceTime and meet the newest member of the family and her legacy just a few short days ago. All of these sweet faces were made possible because of her and the love she shared with each one of them is a priceless memory I will forever cherish. To my Grandmother, the one who made this beautiful life possible and who’s memory will always remain in my heart and in the lives of my girls! Ma Charlene will always be loved!